This was by no means the only trial to which Grignion was subjected. It often happened that the Jansenists, irritated by his success, secure by their intrigues his banishment form the district, in which he was giving a mission. At La Rochelle some wretches put poison into his cup of broth, and, despite the antidote which he swallowed, his health was always impaired. On another occasion, some malefactors hid in a narrow street with the intention of assassinating him, but he had a presentiment of danger and escaped by going by another street. A year before his death, Father de Montfort founded two congregations -- the Sisters of Wisdom, who were to devote themselves to hospital work and the instruction of poor girls, and the Company of Mary, composed of missionaries. He had long cherished these projects but circumstances had hindered their execution, and, humanly speaking, the work appeared to have failed at his death, since these congregations numbered respectively only four sisters and two priests with a few brothers. But the blessed founder, who had on several occasions shown himself possessed of the gift of prophecy, knew that the tree would grow. At the beginning of the twentieth century the Sisters of Wisdom numbered five thousand, and were spread throughout every country; they possessed forty-four houses, and gave instruction to 60,000 children. After the death of its founder, the Company of Mary was governed for 39 years by Father Mulot. He had at first refused to join de Montfort in his missionary labours. "I cannot become a missionary", said he, "for I have been paralysed on one side for years; I have an affection of the lungs which scarcely allows me to breathe, and am indeed so ill that I have no rest day or night." But the holy man, impelled by a sudden inspiration, replied, "As soon as you begin to preach you will be completely cured." And the event justified the prediction. 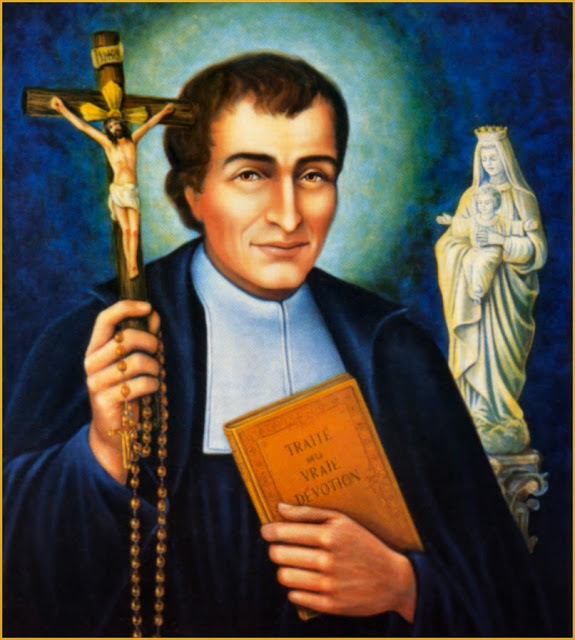 Grignion de Montfort was beatified by Leo XIII in 1888.